The governorship candidate of All Progressives Grand Alliance (APGA) in the last governorship election in Imo State, Senator Ifeanyi Godwin Araraume, has asked the Imo State Election Petition Tribunal to nullify and set aside the Imo State governorship election held last month. According to him, the governorship election was invalid and non-compliant with the provision of the Electoral Act 2010 and the 1999 Constitution of the Federal Republic of Nigeria. Ararume also asked for an order voiding the Certificate of Return issued to Hon. Emeka Ihedioha of the Peoples Democratic Party (PDP), as the governor-elect. The suit also has the Independent National Electoral Commission (INEC) and the PDP as respondents. In his petition no: IM/EPT/GOV/03/2019 and filed on his behalf by Ahmed Raji (SAN); K.C Nwufo (SAN); I. K Bawa (SAN) and others, the petitioner also asked for an order directing the INEC to conduct a fresh gubernatorial election in Imo State, in compliance with the provision of the 1999 Constitution and the Electoral Act. 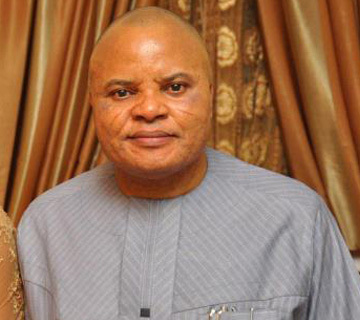 Ararume averred that all the scores and purported votes from Aboh Mbaise, Ahiazu Mbaise, Ehime Mbano and other 17 local government council areas of the states, were void and unlawful votes. In giving ‘facts’ to support his claims, Araraume added that INEC, in preparation for the election, had sourced electoral officers from University of Agriculture, Umudike. He alleged that the said electoral officers were changed without reason hours to the election, and replaced with a different set of untrained electoral officers and ad-hoc staff. He further averred that the new, untrained electoral officers and ad-hoc staff, most of who hail from Mbaise LGA, were then appointed and deployed within hours to the commencement of the governorship election. Ararume, a former Senator, further stated that these untrained electoral staff did not subscribe to the oath of neutrality. The APGA candidate also averred in his petition that there was massive hijacking and diversion of ballot papers and other electoral material to places other than polling units where several booklets of ballot papers were “massively thumb printed’’ by agents of the PDP in favour of Ihedohia in the aforementioned LGAs, coupled with ballot box snatching and stuffing with ballot papers. He said that the multiple thumb-printed ballot papers for Ihedioha were subsequently stuffed into the ballot boxes and recorded in favour of the PDP and its candidate in the stated LGAs. The petitioner further averred that the agents of PDP and Ihedioha, acting on their instructions and authorisation, procured massive numbers of Permanent Voter Cards (PVCs) and wrongfully used them on the Smart Card Readers – resulting in false record of accreditation on the Smart Card Readers, as shown by the serial and sustained fingerprint verification failure in the polling units. Araraume further stated that the consequences of the alleged corrupt practices allegedly perpetrated by PDP and its candidate, acting through their agents and surrogates, led to the purported victory of PDP and its candidate at the election. He also said the respondent did not win one-quarter of the votes cast at the said election in each of at least two-third of all the local government areas in the state, as required by section 179(2) and (3) of the 1999 constitution. The APGA candidate said that he submitted the said result sheets as in Forms EC8B, EC8C, EC8D and EC8E to a specialist for his professional analysis. He added that upon the said computation, he discovered that the PDP’s candidate did not secure one-quarter of all the votes cast in each of at least two-third of all the 27 LGAs in the state, as required by the constitution. He also averred that out of the 27 LGAs in the state, the purported winner of the election scored 25 per cent of total votes cast in 12 local government areas, thereby rendering his purported return invalid.